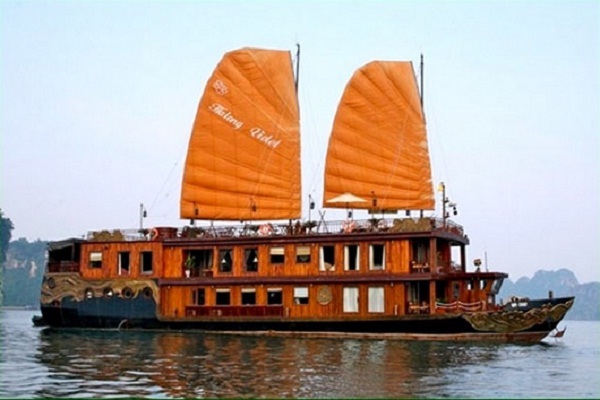 Halong Bay is a major tourist destination in Vietnam, the majority of international tourists to Vietnam’s Halong travel, travel services at the most famous Halong travel that night on a luxury yacht, how do you find the luxury yachts like the best, please refer to the best yacht here. 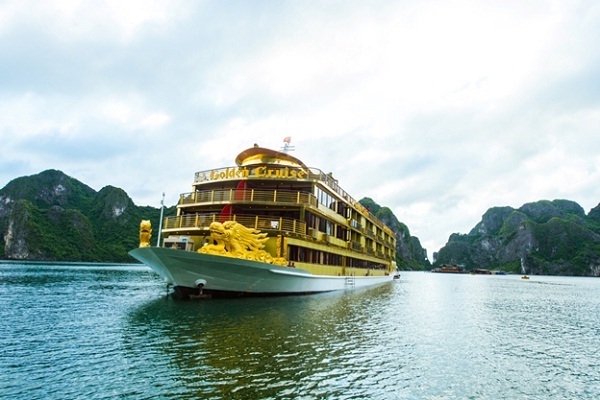 Golden Pleasure Cruise is yacht standards largest 5 star Ha Long Bay for up to 44 Spacious Cabins. The entire ship iron frame, wooden furniture, European standards. With amenities Vietnam-style luxury: an elevator, gym, jacuzzi, wide Sleeping rooms, most rooms have balconies, restaurants, chic bars. Yacht Violet is the most suitable for couples or honeymoon holiday, the celebration of the family. It is launched on November 1, 2009, including 06 cabins, Spa & GMY, dining room, library, hotel guestroom, private balcony, bathroom with marble closed. 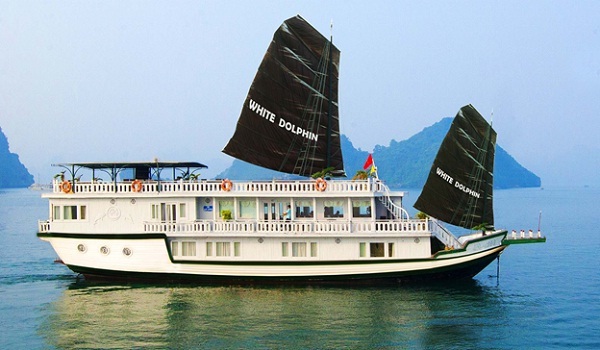 White Dolphin Cruise is a subtle combination between traditional and modern with the necessary equipment and cozy for guests. 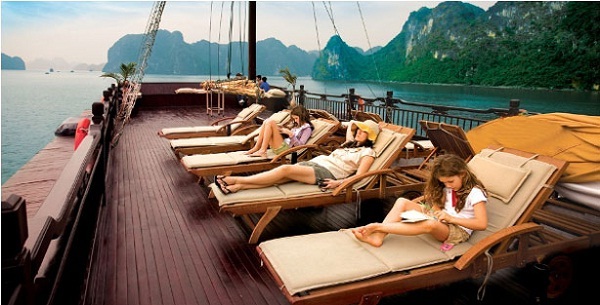 Guests will marvel at the stunning, fascinating and majestic Halong Bay from private rooms with spacious windows. White Dolphin Yacht cabin equipped with 10 launches from January 2011 to 6 fully equipped deluxe rooms (18 m2) and 4 luxury suites (21 m2). Besides, the yacht also has 2 cabins with 4 elegant suites (25 m2) will give visitors a romantic vacation, fun and privacy. The fleet consists of 3 ships with 6 cabins elegant and 8 cabin Suite Deluxe 5 star standards. On each cabin is equipped with full amenities such as a spacious bar with soft chairs, inside and outdoor dining area, a row of sun loungers with comfortable furniture and comfortable. Paradise Privilege is one of the most suitable for the ship needs a luxury reserved for a small group (about 06 people) … With style: small – nice and cozy – intimate, the most in Halong Bay perhaps this is one of the best ways to enjoy, feel the most to the maximum extent of the beauty of Ha Long Bay. 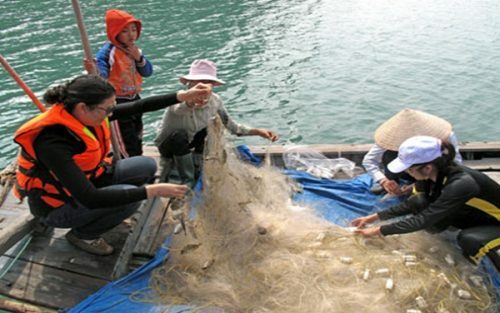 Besides the luxury and warmth of the yacht also Paradise Privilege is also reflected in the uniqueness of the journey and the luxury of enjoying the cuisine is inspired by the traditional Vietnam in home cooking.